The decision I took to take up amateur photography more seriously, at the beginning of this year, has proven to be profound. It has been an incredible creative endeavour which in turn, has had a positive influence on my sense of wellbeing. The inclusion of my hubby’s company while I photographed various locations around the state of Victoria, Australia has been such a lovely way of spending time together. Learning to master my new camera and lens, and then learning the ins-and-outs of Lightroom 6 – has also been an enjoyable challenge. During the latter part of 2017 – I used a compact system camera, a Sony A7 Mark II – Full Frame with a Sony A FE24-240mm F3.5-6.3 OSS Lens. For some of the shots, I used the camera hand-held, and for others, I used the camera mounted on a tripod with a remote timer. I also used my Apple iPhone 8 Plus mobile phone for quick spontaneous photographs and gain GPS location readings. After each photography adventure, I downloaded all the photographs into Adobe Lightroom 6. From this point I selected only those images I felt worthy of development and below are my photographic favourites for 2017! Seaview Region, Melbourne – Australia “Grand Ridge Road Region” Photographed by Karen Robinson NB Copyright Protected_ http://www.idoartkarenrobinson.com October 17, 2017. NB: Day trip with hubby to visit this beautiful region at its best when all is green before the summer turns it brown. Elsternwick, Victoria – Australia_Photographed by ©Karen Robinson_ http://www.idoartkarenrobinson.com_September 10, 2017 Comments: My hubby and I with the Craigieburn Camera Club at Rippon Lea House and Gardens. “It is one of Australia’s finest grand suburban estates and the first to achieve National Heritage Listing, recognising its unique significance. The historic mansion is located within a vast pleasure garden of sweeping lawns that cover more than 14 acres and features a windmill, lookout tower, heritage orchard, lake, waterfall, fernery and more!” Photograph featuring old tree. Yan Yean Region, Victoria – Australia_Photographed by ©Karen Robinson_www.idoartkarenrobinson.com 2017 Aug 27 Comments: Chilly Winter’s day on Ridge Road looking south across the farming region of Yan Yean towards Arthur’s Creek. The Great Ocean Road Region, Victoria – Australia_Photographed by Karen Robinson November 2017 http://www.idoartkarenrobinson.com Comments: My Hubby and I joined a group of enthusiastic Craigieburn Camera Club Photographers on a Three-Day Trip along the Great Ocean Road and Regional areas – to take photographs of wide oceans, sunrises, sunsets, significant coastal landmarks, waterfalls, wildlife and rural bushlands. Featuring Hopetoun Waterfalls at Beech Forest. Elsternwick, Victoria – Australia_Photographed by ©Karen Robinson_ http://www.idoartkarenrobinson.com_September 10, 2017 Comments: My hubby and I with the Craigieburn Camera Club at Rippon Lea House and Gardens. “It is one of Australia’s finest grand suburban estates and the first to achieve National Heritage Listing, recognising its unique significance. The historic mansion is located within a vast pleasure garden of sweeping lawns that cover more than 14 acres and features a windmill, lookout tower, heritage orchard, lake, waterfall, fernery and more!” Photograph featuring lake view from garden. The Great Ocean Road Region, Victoria – Australia_Photographed by Karen Robinson November 2017 http://www.idoartkarenrobinson.com Comments: My Hubby and I joined a group of enthusiastic Craigieburn Camera Club Photographers on a Three-Day Trip along the Great Ocean Road and Regional areas – to take photographs of wide oceans, sunrises, sunsets, significant coastal landmarks, waterfalls, wildlife and rural bushlands. Featuring views around Seacroft Historic Ocean Front Home at Sugarloaf. Bruthen, Victoria – Australia ‘Farmland’_Photographed by ©Karen Robinson_www.idoartkarenrobinson.com_April 2017. Comments: My husband, daughter and I spent some time at my husband’s brother’s farm where we got to reconnect with nature. The early mornings were particularly beautiful, especially how the rising sun light stretched out across and through the trees, leaving long casing shadows. The Great Ocean Road Region, Victoria – Australia_Photographed by Karen Robinson November 2017 http://www.idoartkarenrobinson.com Comments: My Hubby and I joined a group of enthusiastic Craigieburn Camera Club Photographers on a Three-Day Trip along the Great Ocean Road and Regional areas – to take photographs of wide oceans, sunrises, sunsets, significant coastal landmarks, waterfalls, wildlife and rural bush lands. Featuring views at Apollo Bay Harbour. Mickleham – Farmland – photographed by ©Karen Robinson http://www.idoartkarenrobinson.com Jan 2017. 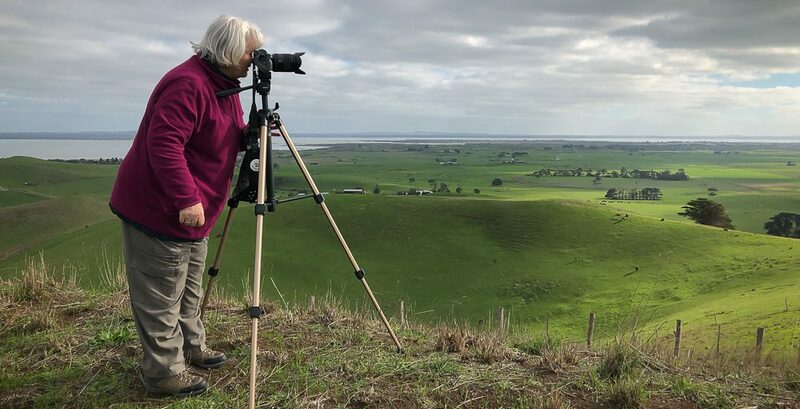 Strath Creek Region, Victoria – Australia_’Valley of a Thousand Hills’_Photographed by ©Karen Robinson_www.idoartkarenrobinson.com May 2017 Comments: Day photographing with my daughter and husband who kindly drove us location to location. The Great Ocean Road Region, Victoria – Australia_Photographed by Karen Robinson November 2017 http://www.idoartkarenrobinson.com Comments: My Hubby and I joined a group of enthusiastic Craigieburn Camera Club Photographers on a Three-Day Trip along the Great Ocean Road and Regional areas – to take photographs of wide oceans, sunrises, sunsets, significant coastal landmarks, waterfalls, wildlife and rural bushlands. Featuring back garden area at Seacroft Historic Ocean Front Home – Sugarloaf. Elsternwick, Victoria – Australia_Photographed by ©Karen Robinson_ http://www.idoartkarenrobinson.com_September 10, 2017 Comments: My hubby and I with the Craigieburn Camera Club at Rippon Lea House and Gardens. “It is one of Australia’s finest grand suburban estates and the first to achieve National Heritage Listing, recognising its unique significance. The historic mansion is located within a vast pleasure garden of sweeping lawns that cover more than 14 acres and features a windmill, lookout tower, heritage orchard, lake, waterfall, fernery and more!” Photograph featuring garden statue ‘lady holding basket’ standing amongst flowering bulbs. Elsternwick, Victoria – Australia_Photographed by ©Karen Robinson_ http://www.idoartkarenrobinson.com_September 10, 2017 Comments: My hubby and I with the Craigieburn Camera Club at Rippon Lea House and Gardens. “It is one of Australia’s finest grand suburban estates and the first to achieve National Heritage Listing, recognising its unique significance. The historic mansion is located within a vast pleasure garden of sweeping lawns that cover more than 14 acres and features a windmill, lookout tower, heritage orchard, lake, waterfall, fernery and more!” Photograph featuring Conservatory at side of the Mansion’s front entrance. Elsternwick, Victoria – Australia_Photographed by ©Karen Robinson_ http://www.idoartkarenrobinson.com_September 10, 2017 Comments: My hubby and I with the Craigieburn Camera Club at Rippon Lea House and Gardens. “It is one of Australia’s finest grand suburban estates and the first to achieve National Heritage Listing, recognising its unique significance. The historic mansion is located within a vast pleasure garden of sweeping lawns that cover more than 14 acres and features a windmill, lookout tower, heritage orchard, lake, waterfall, fernery and more!” Photograph featuring Camellia Japonica flowers in bloom. The Great Ocean Road Region, Victoria – Australia_Photographed by Karen Robinson November 2017 http://www.idoartkarenrobinson.com Comments: My Hubby and I joined a group of enthusiastic Craigieburn Camera Club Photographers on a Three-Day Trip along the Great Ocean Road and Regional areas – to take photographs of wide oceans, sunrises, sunsets, significant coastal landmarks, waterfalls, wildlife and rural bush lands. Featuring views at Apollo Bay Harbour and Pilgrim Geese. Elsternwick, Victoria – Australia_Photographed by ©Karen Robinson_ http://www.idoartkarenrobinson.com_September 10, 2017 Comments: My hubby and I with the Craigieburn Camera Club at Rippon Lea House and Gardens. “It is one of Australia’s finest grand suburban estates and the first to achieve National Heritage Listing, recognising its unique significance. The historic mansion is located within a vast pleasure garden of sweeping lawns that cover more than 14 acres and features a windmill, lookout tower, heritage orchard, lake, waterfall, fernery and more!” Photograph featuring garden view towards lake. Gooram, Victoria – Australia ‘Seven Creeks Wildlife Reserve’ Photographed by Karen Robinson Dec 2017 http://www.idoartkarenrobinson.com NB. All images are protected by copyright laws. Comments: We stopped for lunch amongst the tranquil surroundings of the Seven Creeks and view the Gooram Falls. Many female Common Brown Butterflies abound the grass areas around the creek. The Great Ocean Road Region, Victoria – Australia_Photographed by Karen Robinson November 2017 http://www.idoartkarenrobinson.com Comments: My Hubby and I joined a group of enthusiastic Craigieburn Camera Club Photographers on a Three-Day Trip along the Great Ocean Road and Regional areas – to take photographs of wide oceans, sunrises, sunsets, significant coastal landmarks, waterfalls, wildlife and rural bush lands. Featuring views at Lorne on the Erskine River and Sulphur Crested Cockatoos perched on the boughs of riverside trees. Karen took photos around and on Hanging Rock. Accompanied by her husband on the day. Wonderful rock formations, natural Australian bush, native life and expansive scenic views from the top of Hanging Rock itself. The Great Ocean Road Region, Victoria – Australia_Photographed by Karen Robinson November 2017 http://www.idoartkarenrobinson.com Comments: My Hubby and I joined a group of enthusiastic Craigieburn Camera Club Photographers on a Three-Day Trip along the Great Ocean Road and Regional areas – to take photographs of wide oceans, sunrises, sunsets, significant coastal landmarks, waterfalls, wildlife and rural bushlands. Featuring ‘Harvest Moon’ taken at Sugar Loaf. Melbourne, Victoria – Australia “Docklands Waterfront” Photographed by Karen Robinson NB Copyright Protected http://www.idoartkarenrobinson.com December 17, 2017. Comments: Out-and-about early Sunday morning photographing scenes around the Yarra River Harbour water’s edge at Docklands. The Great Ocean Road Region, Victoria – Australia_Photographed by Karen Robinson November 2017 http://www.idoartkarenrobinson.com Comments: My Hubby and I joined a group of enthusiastic Craigieburn Camera Club Photographers on a Three-Day Trip along the Great Ocean Road and Regional areas – to take photographs of wide oceans, sunrises, sunsets, significant coastal landmarks, waterfalls, wildlife and rural bushlands. Featuring views around Seacroft Historic Ocean Front Home at Sugarloaf and local cattle grazing. Elsternwick, Victoria – Australia_Photographed by ©Karen Robinson_ http://www.idoartkarenrobinson.com_September 10, 2017 Comments: My hubby and I with the Craigieburn Camera Club at Rippon Lea House and Gardens. “It is one of Australia’s finest grand suburban estates and the first to achieve National Heritage Listing, recognising its unique significance. The historic mansion is located within a vast pleasure garden of sweeping lawns that cover more than 14 acres and features a windmill, lookout tower, heritage orchard, lake, waterfall, fernery and more!” Photograph featuring hubby standing by the base of a huge Moreton Bay Fig Tree. The Great Ocean Road Region, Victoria – Australia_Photographed by Karen Robinson November 2017 http://www.idoartkarenrobinson.com Comments: My Hubby and I joined a group of enthusiastic Craigieburn Camera Club Photographers on a Three-Day Trip along the Great Ocean Road and Regional areas – to take photographs of wide oceans, sunrises, sunsets, significant coastal landmarks, waterfalls, wildlife and rural bushlands. Featuring views around Seacroft Historic Ocean Front Home at Sugarloaf at sunset. Elsternwick, Victoria – Australia_Photographed by ©Karen Robinson_ http://www.idoartkarenrobinson.com_September 10, 2017 Comments: My hubby and I with the Craigieburn Camera Club at Rippon Lea House and Gardens. “It is one of Australia’s finest grand suburban estates and the first to achieve National Heritage Listing, recognising its unique significance. The historic mansion is located within a vast pleasure garden of sweeping lawns that cover more than 14 acres and features a windmill, lookout tower, heritage orchard, lake, waterfall, fernery and more!” Photograph featuring Camellia Japonica in bloom. Gooram, Victoria – Australia ‘Seven Creeks Wildlife Reserve’ Photographed by Karen Robinson Dec 2017 http://www.idoartkarenrobinson.com NB. All images are protected by copyright laws. Comments: We stopped for lunch amongst the tranquil surroundings of the Seven Creeks and view the Gooram Falls. The Great Ocean Road Region, Victoria – Australia_Photographed by Karen Robinson November 2017 http://www.idoartkarenrobinson.com Comments: My Hubby and I joined a group of enthusiastic Craigieburn Camera Club Photographers on a Three-Day Trip along the Great Ocean Road and Regional areas – to take photographs of wide oceans, sunrises, sunsets, significant coastal landmarks, waterfalls, wildlife and rural bushlands. Featuring Sugarloaf Rock Beach at Sunrise. Elsternwick, Victoria – Australia_Photographed by ©Karen Robinson_ http://www.idoartkarenrobinson.com_September 10, 2017 Comments: My hubby and I with the Craigieburn Camera Club at Rippon Lea House and Gardens. “It is one of Australia’s finest grand suburban estates and the first to achieve National Heritage Listing, recognising its unique significance. The historic mansion is located within a vast pleasure garden of sweeping lawns that cover more than 14 acres and features a windmill, lookout tower, heritage orchard, lake, waterfall, fernery and more!” Photograph featuring backside of Mansion with a circular drive way in foreground. Elsternwick, Victoria – Australia_Photographed by ©Karen Robinson_ http://www.idoartkarenrobinson.com_September 10, 2017 Comments: My hubby and I with the Craigieburn Camera Club at Rippon Lea House and Gardens. “It is one of Australia’s finest grand suburban estates and the first to achieve National Heritage Listing, recognising its unique significance. The historic mansion is located within a vast pleasure garden of sweeping lawns that cover more than 14 acres and features a windmill, lookout tower, heritage orchard, lake, waterfall, fernery and more!” Photograph featuring room within Mansion. Yan Yean Region, Victoria – Australia_Photographed by ©Karen Robinson_www.idoartkarenrobinson.com 2017 Aug 27 Comments: Chilly Winter’s day just off Ridge Road at Yan Yean Top Lookout – Yan Yean Reservoir Park. The Great Ocean Road Region, Victoria – Australia_Photographed by Karen Robinson November 2017 http://www.idoartkarenrobinson.com Comments: My Hubby and I joined a group of enthusiastic Craigieburn Camera Club Photographers on a Three-Day Trip along the Great Ocean Road and Regional areas – to take photographs of wide oceans, sunrises, sunsets, significant coastal landmarks, waterfalls, wildlife and rural bushlands. Featuring Erskine Falls at the Great Otway National Park. Gooram, Victoria – Australia ‘Seven Creeks Wildlife Reserve’ Photographed by Karen Robinson Dec 2017 http://www.idoartkarenrobinson.com NB. All images are protected by copyright laws. Comments: We stopped for lunch amongst the tranquil surroundings of the Seven Creeks and view the Gooram Falls. Whilst hubby visited the toilets he discovered sitting on the toilet a Huntsman Spider. Elsternwick, Victoria – Australia_Photographed by ©Karen Robinson_ http://www.idoartkarenrobinson.com_September 10, 2017 Comments: My hubby and I with the Craigieburn Camera Club at Rippon Lea House and Gardens. “It is one of Australia’s finest grand suburban estates and the first to achieve National Heritage Listing, recognising its unique significance. The historic mansion is located within a vast pleasure garden of sweeping lawns that cover more than 14 acres and features a windmill, lookout tower, heritage orchard, lake, waterfall, fernery and more!” Photograph featuring lady statue in Conservatory. Elsternwick, Victoria – Australia_Photographed by ©Karen Robinson_ http://www.idoartkarenrobinson.com_September 10, 2017 Comments: My hubby and I with the Craigieburn Camera Club at Rippon Lea House and Gardens. “It is one of Australia’s finest grand suburban estates and the first to achieve National Heritage Listing, recognising its unique significance. The historic mansion is located within a vast pleasure garden of sweeping lawns that cover more than 14 acres and features a windmill, lookout tower, heritage orchard, lake, waterfall, fernery and more!” Photograph featuring staircase leading to the entrance to the Mansions original kitchens. Elsternwick, Victoria – Australia_Photographed by ©Karen Robinson_ http://www.idoartkarenrobinson.com September 10, 2017 Comments: My hubby and I with the Craigieburn Camera Club at Rippon Lea House and Gardens. “It is one of Australia’s finest grand suburban estates and the first to achieve National Heritage Listing, recognising its unique significance. The historic mansion is located within a vast pleasure garden of sweeping lawns that cover more than 14 acres and features a windmill, lookout tower, heritage orchard, lake, waterfall, fernery and more! Ref: http://www.ripponleaestate.com.au&#8221; Photograph featuring White Calla Lily. Elsternwick, Victoria – Australia_Photographed by ©Karen Robinson_ http://www.idoartkarenrobinson.com_September 10, 2017 Comments: My hubby and I with the Craigieburn Camera Club at Rippon Lea House and Gardens. “It is one of Australia’s finest grand suburban estates and the first to achieve National Heritage Listing, recognising its unique significance. The historic mansion is located within a vast pleasure garden of sweeping lawns that cover more than 14 acres and features a windmill, lookout tower, heritage orchard, lake, waterfall, fernery and more!” Photograph featuring one of the rooms in the Mansion’s original kitchens. Daylesford Region, Victoria – Australia “Sunset near Lake Jubilee”_ Photographed by ©Karen Robinson http://www.idoartkarenrobinson.com June 2017. Comments: Husband and I visiting the region to take photographs on this beautiful, fresh winter’s day. Elsternwick, Victoria – Australia_Photographed by ©Karen Robinson_ http://www.idoartkarenrobinson.com_September 10, 2017 Comments: My hubby and I with the Craigieburn Camera Club at Rippon Lea House and Gardens. “It is one of Australia’s finest grand suburban estates and the first to achieve National Heritage Listing, recognising its unique significance. The historic mansion is located within a vast pleasure garden of sweeping lawns that cover more than 14 acres and features a windmill, lookout tower, heritage orchard, lake, waterfall, fernery and more!” Photograph featuring front view of Mansion. Elsternwick, Victoria – Australia_Photographed by ©Karen Robinson_ http://www.idoartkarenrobinson.com_September 10, 2017 Comments: My hubby and I with the Craigieburn Camera Club at Rippon Lea House and Gardens. “It is one of Australia’s finest grand suburban estates and the first to achieve National Heritage Listing, recognising its unique significance. The historic mansion is located within a vast pleasure garden of sweeping lawns that cover more than 14 acres and features a windmill, lookout tower, heritage orchard, lake, waterfall, fernery and more!” Photograph featuring garden looking over lake. The Great Ocean Road Region, Victoria – Australia_Photographed by Karen Robinson November 2017 http://www.idoartkarenrobinson.com Comments: My Hubby and I joined a group of enthusiastic Craigieburn Camera Club Photographers on a Three-Day Trip along the Great Ocean Road and Regional areas – to take photographs of wide oceans, sunrises, sunsets, significant coastal landmarks, waterfalls, wildlife and rural bushlands. Featuring views at the Twelve Apostles. The Great Ocean Road Region, Victoria – Australia_Photographed by Karen Robinson November 2017 http://www.idoartkarenrobinson.com Comments: My Hubby and I joined a group of enthusiastic Craigieburn Camera Club Photographers on a Three-Day Trip along the Great Ocean Road and Regional areas – to take photographs of wide oceans, sunrises, sunsets, significant coastal landmarks, waterfalls, wildlife and rural bushlands. Featuring views of local bird wildlife at Yatezies on Lavers Hill and a King Parrot.